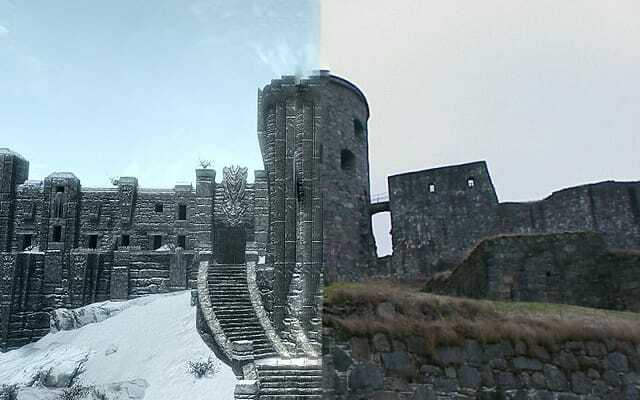 These castles share Scandinavian inspirations, Bohus Fortress as the product of Norwegian ingenuity and High Hrothgar arising from an American game developer’s fantasy vision of a Nordic hinterland. Hrothgar may sit atop seven thousand steps, near the peak of the tallest mountain in Tamriel, but it merely plays host to a gaggle of aged, religious monks. Though long bereft of shouting geriatrics, Bohus Fortress stands a mighty forty meters above the surrounding Swedish land to instill fear in the neighboring Norwegians. Tremble with fear, surrounding Swedish countryside; these Danes are fortified.